Smooth and reliable cross-site communication is essential for efficient and economical operations. The individual nature of the structures at each different enterprise demands a flexible solution that perfectly fits your needs and, above all, offers a secure network design. VPN devices from LANCOM offer the versatility for the secure and reliable implementation of complex networks with large numbers of different sites, and also for smaller networks which integrate external employees. Supermarkets and retail stores are connected to their banks via VPN and synchronize every transaction directly with their main office. Get set with SD-WAN! 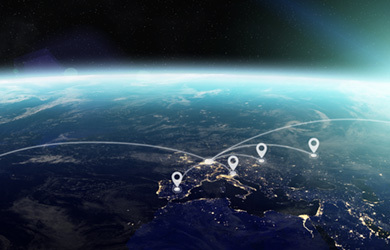 Benefit from LANCOM SD-WAN and our holistic approach to gain even more agility in handling your site connectivity. Replace your traditional, static and manually configured network infrastructure by an automated, software-defined WAN. This will not only save you time but also reduce your IT costs drastically. Learn more here. The analysts from techconsult – member of the heise group – conducted a large-scale survey interviewing more than 2,000 companies about their satisfaction with the solutions they employ. 70 individual criteria were evaluated for "VPN solutions". 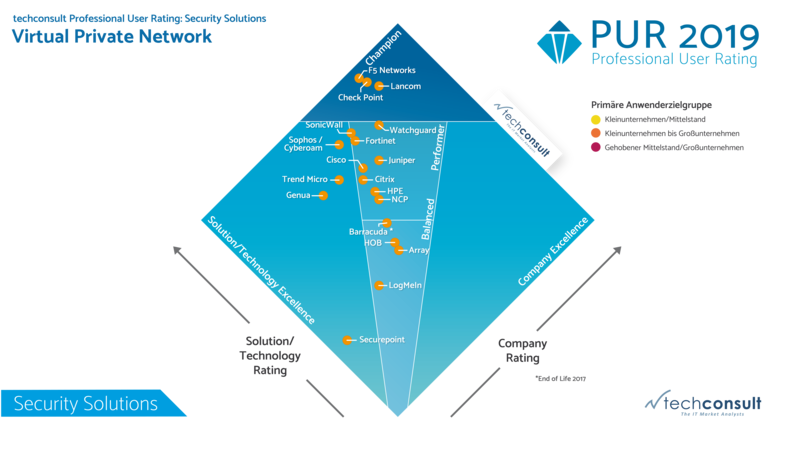 The survey included all major providers of security solutions who are active in the German market. 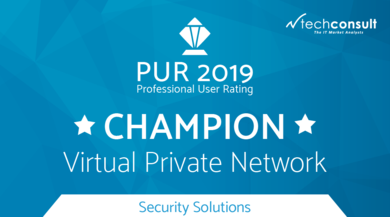 We are very proud that also in 2019 the professional users chose LANCOM as their clear champion in the area of virtual private network. Whatever your needs, the LANCOM multi-site VPN routers have a solution for you. Ideal for medium-sized businesses, branch offices and home offices, our high-performance portfolio offers professional Internet access and a versatile range of interfaces.